This Personalised Godmother Floral Watercolour Trinket Box will make the perfect thank you gift. 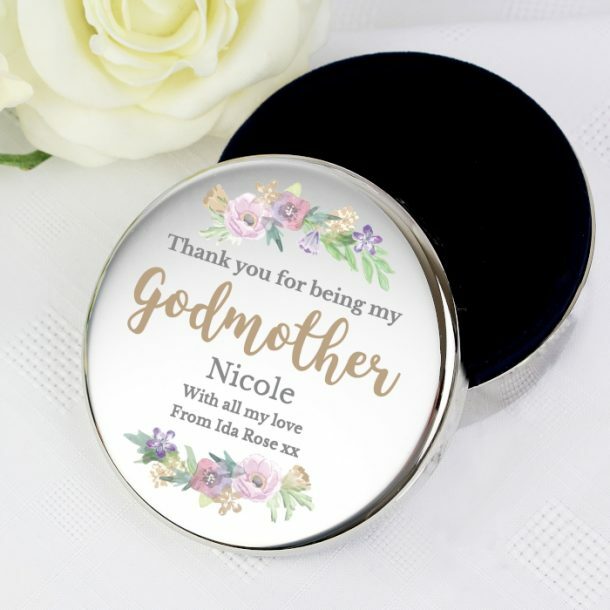 Boasting a beautiful floral design on the lid, and a fabric lined interior, this round trinket box will leave any godmother speechless. 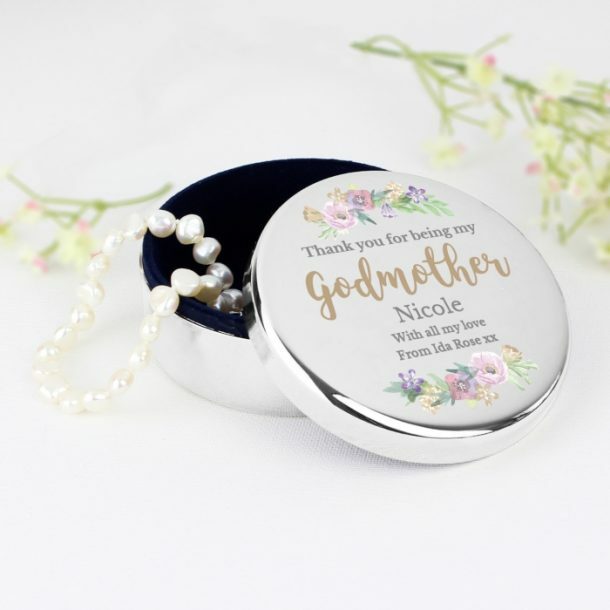 Perfect to fill with anything from rings to small trinkets the lid features the words ‘Thank you for being my Godmother’ as fixed text. 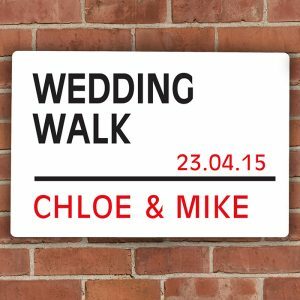 We leave additional space for you to add her name, and 2 lines of message which our team will engrave to a high standard. 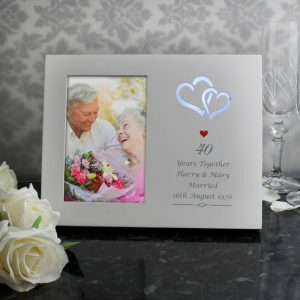 A pretty gift that will mark the occasion with a bit of elegance and will look amazing placed on her dressing table. 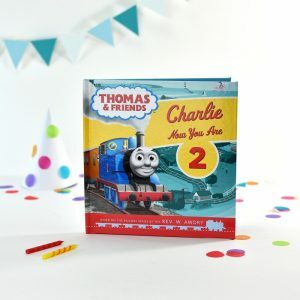 The perfect way to show your godmother how special she is.